These sorts of big events are a great opportunity to catch up with old friends from all over the world, and of course make new ones. Amy and I met up with quite a few people over the weekend who had at one time or another visited Takamasa Arakawa Sensei’ Shiramizu Dojo in Sugito Japan. One of these friends rightly described the course as a ‘facebook convention’ because it really was, we’re all connected online to so many Wado friends and colleagues and these big events bring everyone together to train under one roof. It was great to be able to meet some people who we’ve been connected to for years without ever meeting in person. Over the long weekend we covered basics, basics and basics of Wadokai. 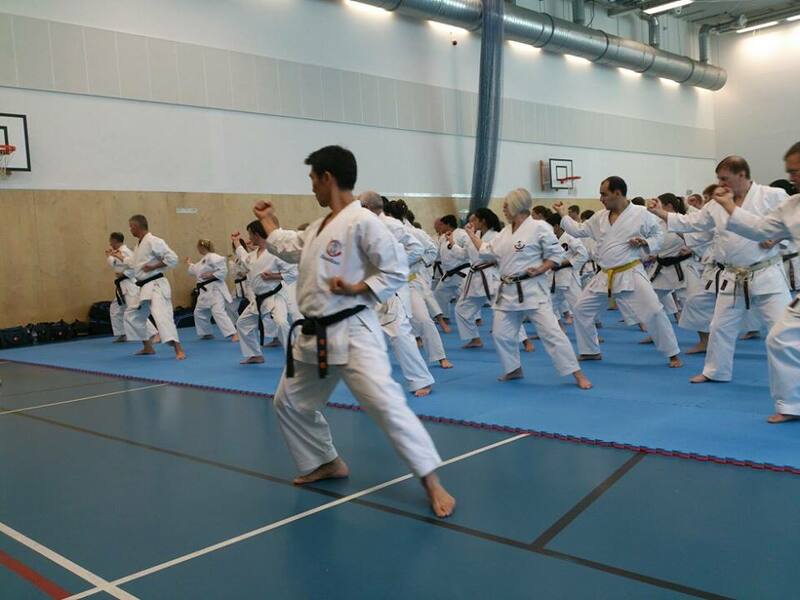 Takagi Sensei explained a number of times that the fundamental movements are essential to move and strike correctly, and without solid basics, nothing else will work. 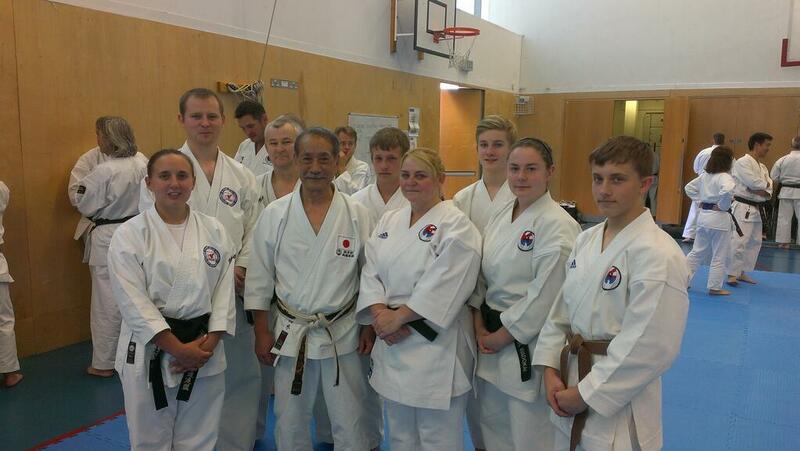 It was effectively a standardisation course with the Sensei highlighting the key points of each movement. 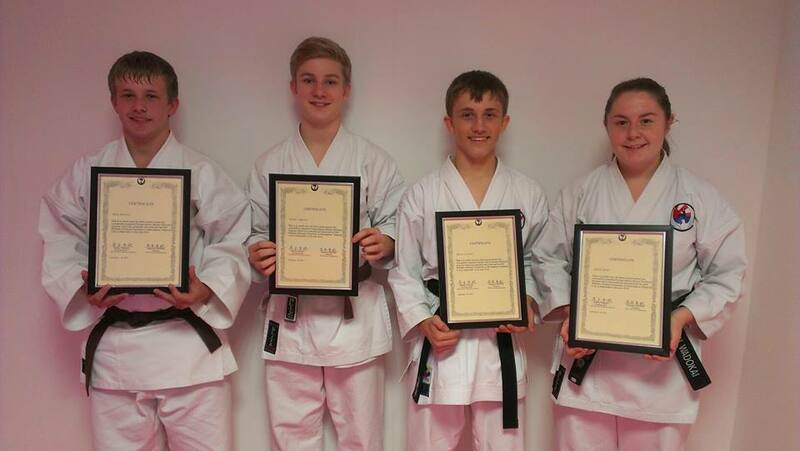 It’s important that all Wadokai clubs are teaching the way the JKF-Wadokai want us too, throughout the world and that we’re all continually developing ourselves to ‘become the best we can be’. The pace was at times tough, with calls of ‘faster faster’ reminding me of my earlier years in Karate. Bob Nash Sensei (USA) was on hand throughout the weekend to translate and helped ensure everyone understood what was being said, often in a humorous way. 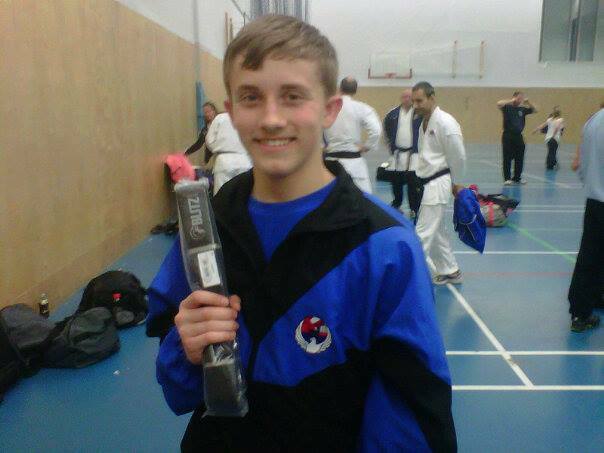 We’re pleased to say that the club had a successful weekend with the Dan Grading (Black Belt Examinations) with Lewis Muldown achieving his 1st Dan, Beth Gray her 2nd Dan and Carl Jorgeson his 4th Dan. All the attendees were also given attendance certificates to remember the prestigious event so we presented them last night at the club. The course was very well attended with up to 200 students descending from all over the world. Hopefully this support will lead to more events of this type taking place in the UK, there is obviously a desire for them. This can only strengthen the Wadokai in this country and beyond.